Editor’s note– ( PG) After the Fishing Club was wiped out by Sandy in 2012, there was talk that the Club would shift gears and engage in surf fishing. It initially sounded like a good idea, allowing the members to teach kids how to fish, as they did before. But that plan never materialized, supposedly because of liability concerns, but it would seem that there must have been similar issues when a large group of kids would assemble on the pier for the very popular event. So now, 6 years after Sandy, the Fishing Club remains dormant. 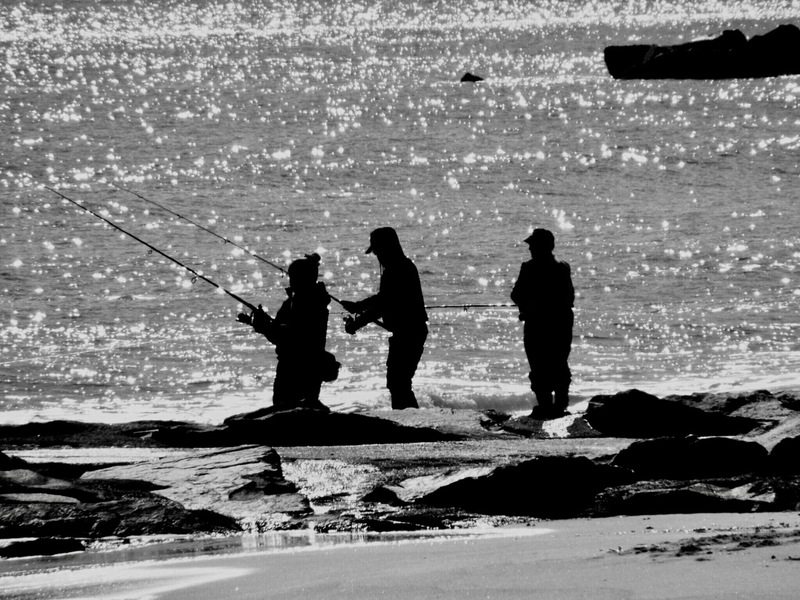 Seeing surf fisherman on the OG beach, as in Jean’s photograph, is a fairly unusual sight, perhaps because such fishermen tend to show up very early in the morning. OG, with its jetties, would seem like a good spot for such sport. Jean made this image at 2 pm. Her silhouette black and white image is quite dramatic, so we are pleased to exhibit it on Blogfinger.net. Farmers market on Main Avenue. 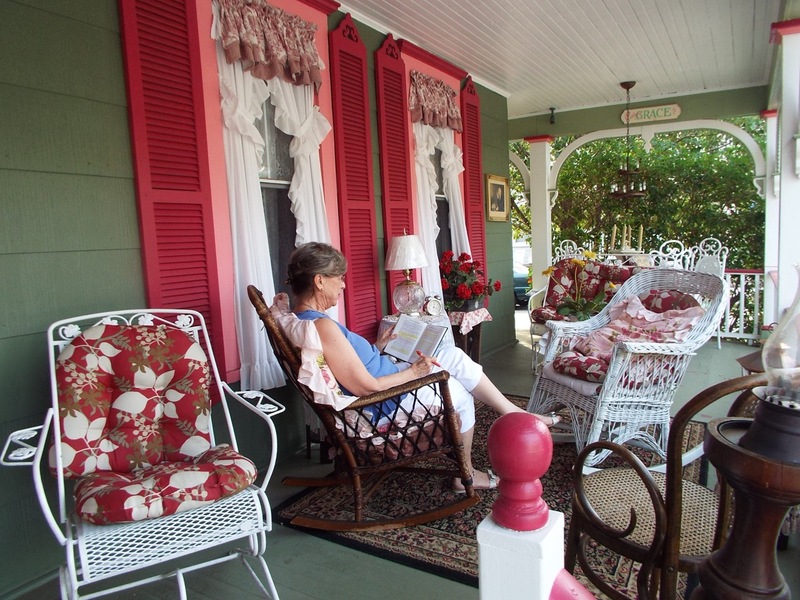 Around town with Miss Jeanie. 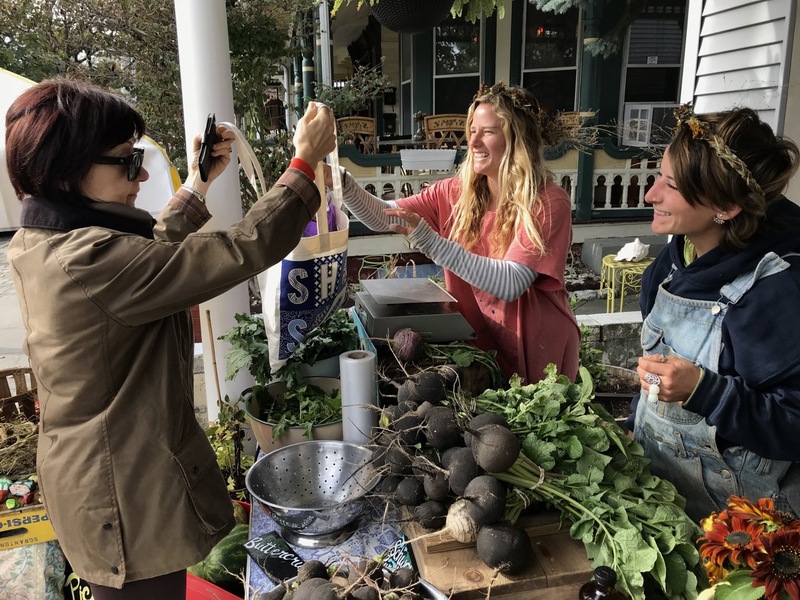 “Lo and behold, a farmers market in front of Burbelmeiers today! Fresh vegetables, herbs and flowers, combined with music in the background. 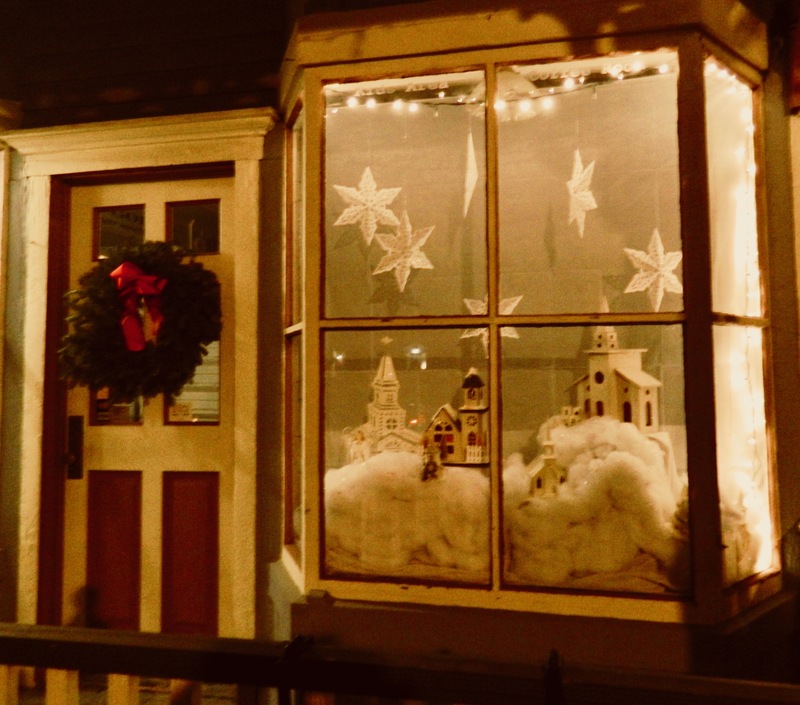 “Not a creature was stirring…” Around town with Jean. 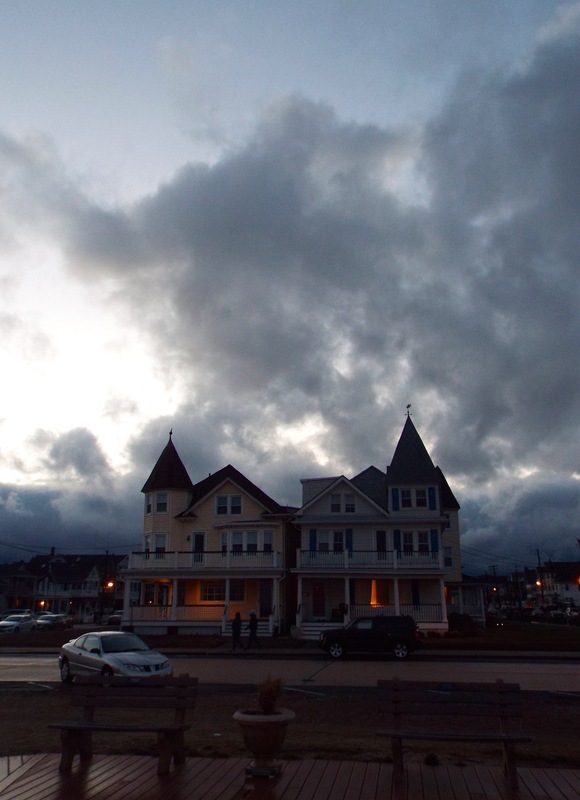 “It was a cold, dark, stark night in Ocean Grove. The only things lively, were the flags, blowing in the breeze by the Boardwalk and Main Ave.
Around town with Jean Bredin (Blogfinger.net staff) in Provincetown where boys will be boys and girls will be boys; and where the fine arts are really fine arts. Click to read the bike ad. 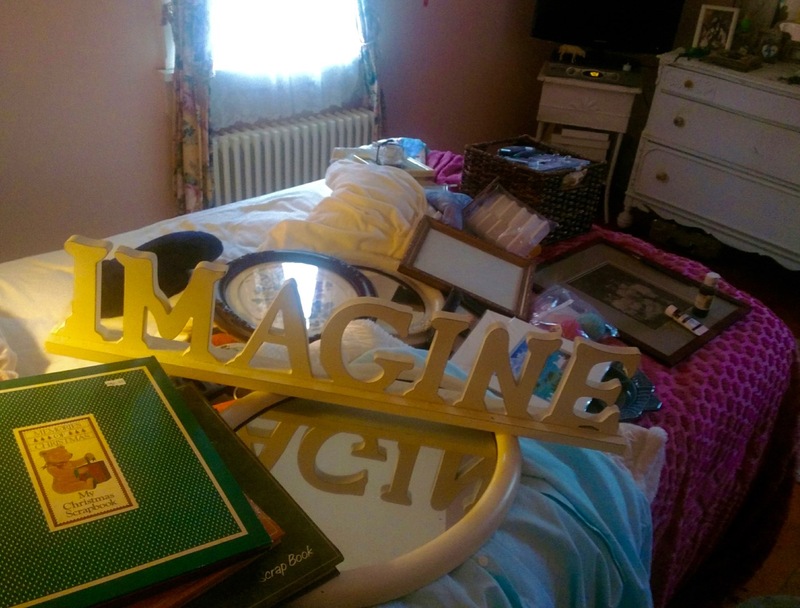 Putting it together with Jean—-Yard Sale Day is upon us! It’s the day before the Blogfinger yard sale.. For weeks I have been gathering every possible item to sell. 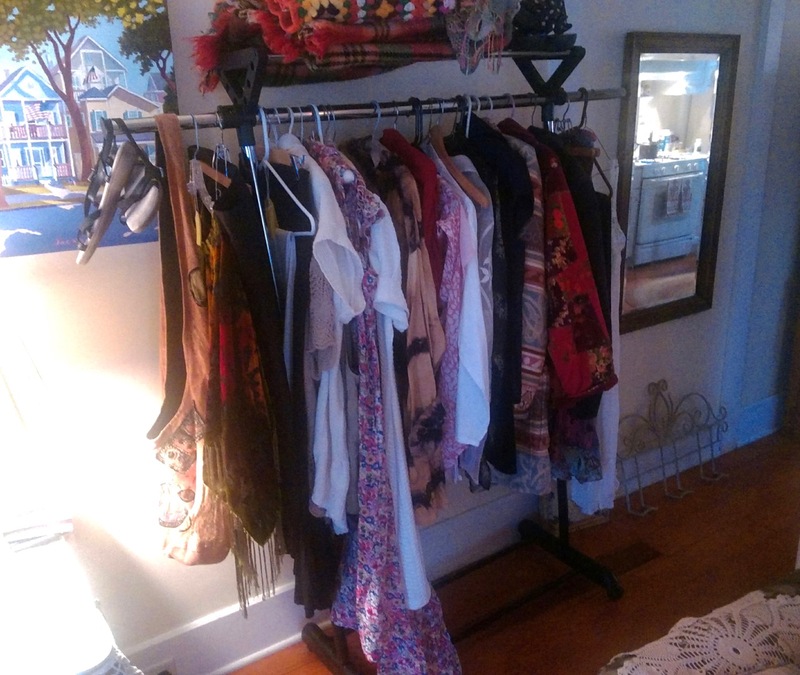 My kitchen has become the area to iron and price linens, the living room is Ladies Fashions….filling my rack with clothes I buy and haven’t worn. My bed is stacked with stuff clogging up my closets, and on my dresser is my display of jewelry I still have to price. Here’s to a successful Yard Sale Day.! 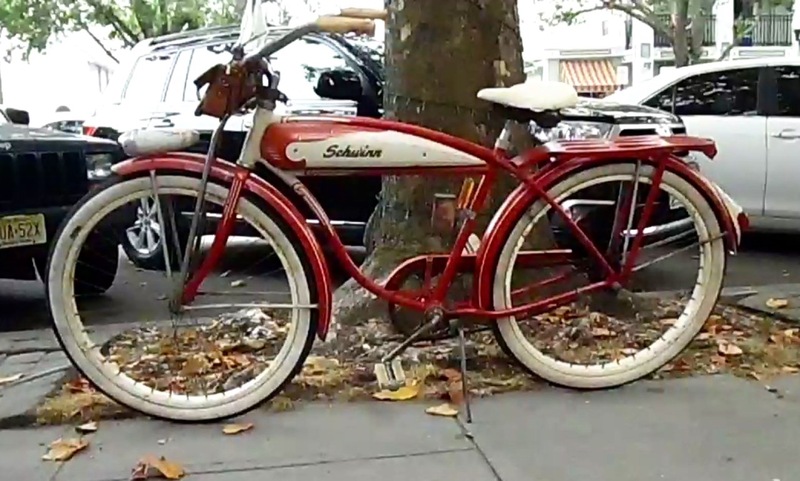 Ocean Grove Schwinn. 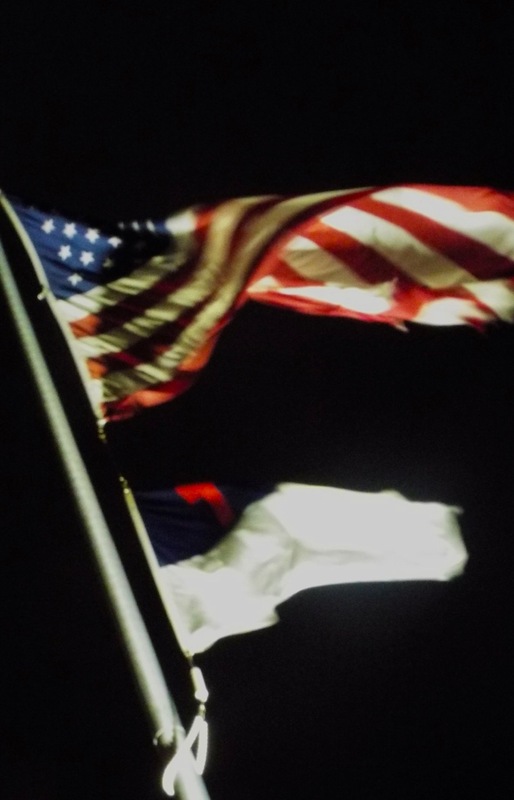 Sept. 4, 2015. By Jean Bredin. Blogfinger staff. © Click to raise the seat. VALERIE MASTERSON. From the score of the movie Quartet: “So, please you sir, we much regret” from The Mikado by Gilbert and Sullivan. We shall know better by and by.